It’s an easy decision to start using and sharing Young Living essential oils. The positive benefits of essential oils can help not only you but your entire social circle. But be warned: Once you start, it’s almost impossible to go back. Here are 21 signs that you are addicted to essential oils. 1. You’re pretty sure the answer to every problem is Thieves®. 2. Your whole family and circle of friends now use oils (except for that one uncle). 3. You use essential oils on your kids . . . and your neighbors’ kids. 4. You use essential oils on your pets . . . and your neighbors’ pets. 5. Preparing your bath feels a bit like Macbeth: “Double, double, no more toil or trouble, I’m using Harmony™! 6. You can’t wind down at night without defusing your Lavender. Non-negotiable. 7. You diffuse Peace & Calming® in your minivan to fight the chaos of carpool. 8. You believe that people who “don’t believe” in essential oils just haven’t tried them yet. 9. Everything in your house smells like Citrus Fresh™. 11. You can’t get out of bed until you diffuse your Lemon each morning. 12. You try and stay below the household budget so you can buy more oils. 13. You’ve used oils to make your own shampoo, deodorant, and toothpaste. 14. When people ask what perfume you’re wearing, you proudly tell them about each of the oils and their benefits. 15. 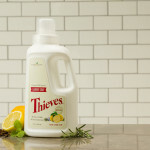 Forget spirit animals—you’re an oil through and through, and it’s Thieves®. 16. You can’t use “ordinary” cosmetics because your skin looks better using an oils beauty regimen. 17. You keep emergency oils in your purse, your backpack, your desk, and your car. 18. 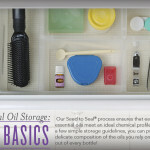 You have at least seven bottles of your favorite oil, just in case. 19. 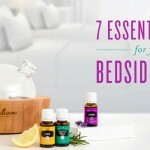 Your Pinterest board for essential oils is overflowing with pins (but still compliant). 20. When your neighbor is grumpy about your invitations to use essential oils, you suggest an essential oil for his grouchy mood. 21. You have a special cupboard just for your oils, categorized by essential oils for emotions, essential oils for physical health, and essential oils for motivation. They might just be color coded, too. If you embody the EO-obsessed fanatic described here, you might also like our Personality Quiz: What’s Your Spirit Oil? And check out our 6 Essential Oils Your Skin Loves for your essential oil-obsessed skin!